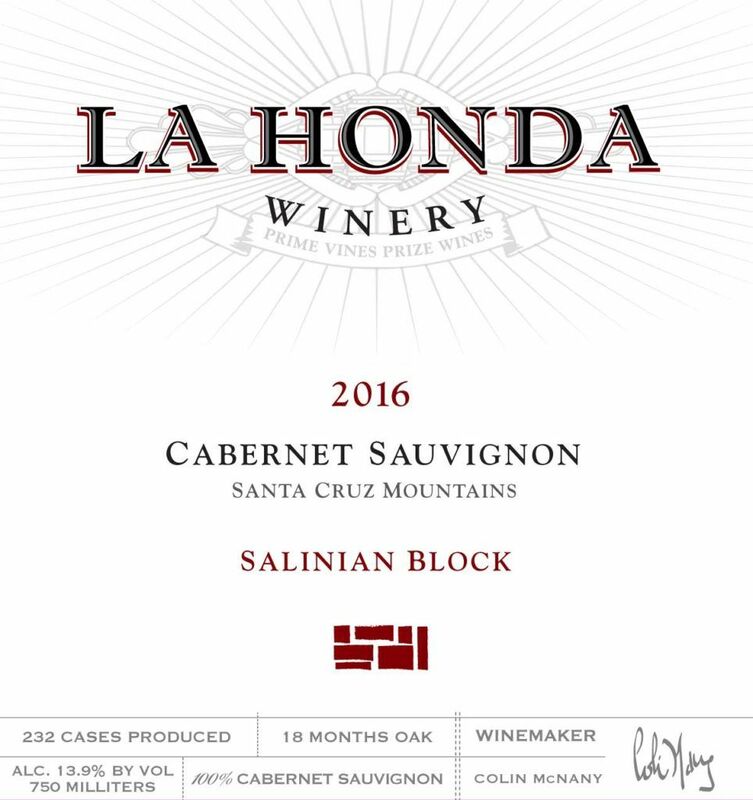 Salinian Block is a cuvee of our highest end Cabernet vineyards and barrels. Each lot is destemmed, 100% whole berry and hand sorted. Isolated ferments are cold soaked for 5 days, inoculated in open top fermenters with commercial strains, and kept on skins up to 25 days via extended maceration. Aged in a combination of high end French and Hungarian oak for 18 months with 100% native malolactic fermentation, the best barrels are carefully selected, benched and compiled into a cuvee. Racked once to tank and gravity feed to bottle. A classic example of mountain grown Cabernet Sauvignon. Dusty dried cherries, fresh pomegranate, rose petals and juniper berries aromatically infuse to create this intoxicating bouquet. Elegant and firm, the lignified tannins dance with refreshing acidity to deliver fleshy red plums and blueberries throughout the supple finish.